What time are your services? Sunday Worship Service takes place at 10:15 a.m., Central Standard Time. Our Sunday School for kids pre-Kindergarten through 5th grade starts at 10:00 a.m., and runs September through May. Adults are encouraged to use this time to share in conversation (current events), coffee, or personal prayer and meditation (candles and meditation space are provided in the narthex (lobby area)). Where are you located? We are on the corner of Lowry Avenue and Cleveland Street N.E. See map above! What is a United Methodist service like? 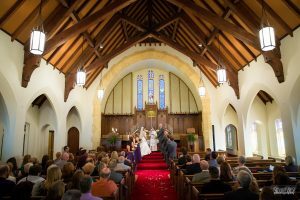 Though we have an “Order of Worship” in our Book of Worship, there is no “one way” to organize a United Methodist worship service. Traditions vary widely, often because they are rooted in culture and geography (United Methodist Churches are all over the world!). United Methodist tradition is a synthesis of many religious traditions and so we learn from (and borrow) spiritual practices from the Catholic Church, Baptists, Lutherans–anywhere we find grace and light. We are worshiping the “God of change and glory, God of time and space,” and so worship changes, and uses the elements of time and space. We know that each person learns and engages with God in different ways and are intentional about trying new things in worship and incorporating all the senses in as many ways during one hour of worship. You can believe that if we are chanting a prayer one Sunday then the next we will be banging a drum and watching a video the next. We may meet in the Sanctuary, or the Social Hall. However, the essential pieces of worship-Prayer and Scripture reading-remain constant. Why do Methodists recite the Lord’s Prayer every week? When we do recite the Lord’s Prayer, we pray and share together because it connects us with Jesus, with other Jesus-followers in the world, and centers us on what is most important in our faith: earth, bread, forgiveness, deliverance, identity. We try to do and think and live and pray like Jesus. Why do you say “sins” and “sinners” instead of “debts” and “debtors” or “trespasses” and “trespassers”? 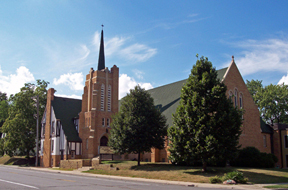 When Grace United Methodist and Trinity United Methodist decided to merge, the members adopted “sins” as more meaningful and more easily understood. Do I have to dress up? Dress comfortably. God doesn’t have a dress code. I’m in a wheelchair. Can I get around easily? We made an investment in accessibility a few years ago. We have a ramp on the Cleveland St. side of the church that leads to the elevator. The elevator takes you to all floors of the church, and there’s wheelchair-friendly seating at the front and back of the sanctuary. We also have accessible restrooms. If I attend church, do I have to join? Though we’d love to have you as a member, you’re not obligated to join us. We understand that some people like to get involved in projects or service work, while others just want to attend worship services. You can do either at Northeast UMC without becoming a member. Whether or not you become an “official” United Methodist is up to you. How do I find out if I’m a member of the United Methodist Church? Ask. The church secretary or membership secretary will find out.